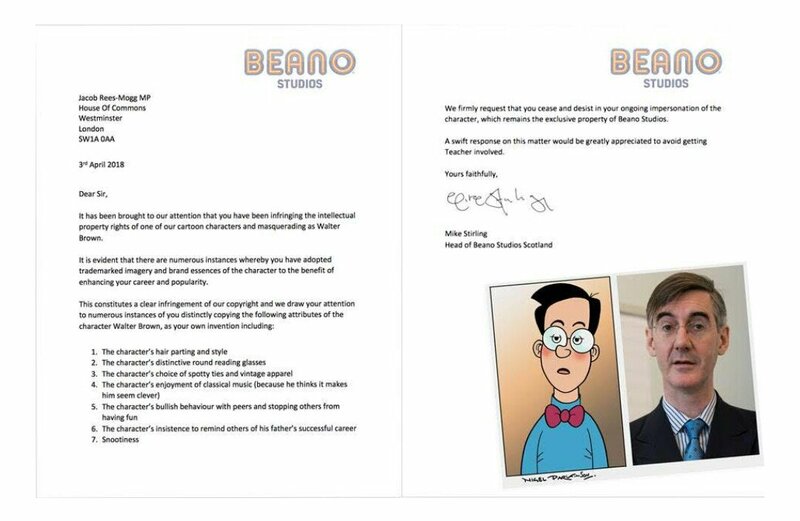 Jacob Rees-Mogg’s Easter message egged people on to mock him – the 17 best reactions. This is what happened when we asked leading Brexiteer Jacob Rees Mogg MP whether he’d resign from parliament if he’s wrong over Brexit. Emily Maitlis: "You didn't say well I'm not quite sure - you said it would turn the UK into a slave state and then you consider voting for it!" Emily Matilis grills Jacob Rees-Mogg on the language he has used around the Govts withdrawal agreement. Jacob Rees-Mogg and Alastair Campbell are left lost for words when a gynaecologist tells them that his marriage to his German wife "is over" after he voted to leave the EU. "It is our fight and we must fight to win." Annunziata Rees-Mogg, sister of Jacob is unveiled as a candidate in the European elections for @brexitparty_uk. "They are trying to frighten us into submission." Jacob Rees-Mogg says some MPs are doing "everything that they can" to try and stop Brexit. "The Prime Minister has decided it's better to negotiate with the socialists than it is with her own party." "The Remainers who want another referendum hold democracy in contempt. They lost and they should grow up." Tory MP Jacob Rees-Mogg says "the people who are campaigning for a second referendum want to stop us leaving the European Union". 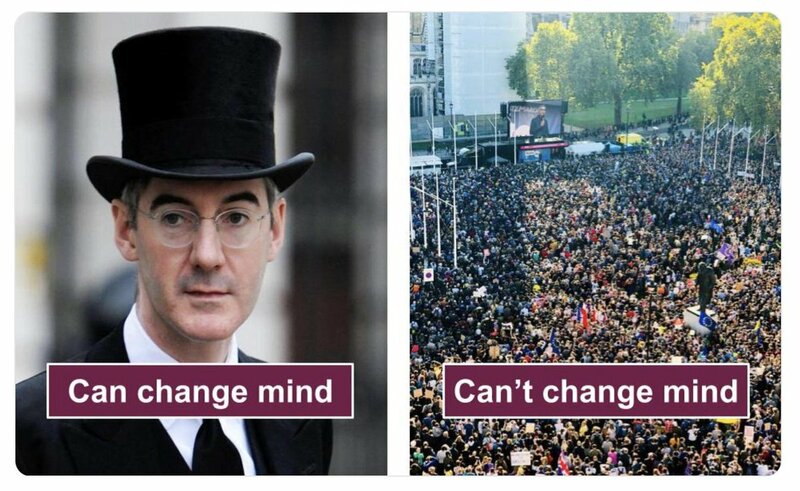 Anna Soubry asks Jacob Rees-Mogg "why he's entitled to a vote and to change his mind, but the people of this country are not allowed to change their minds and have a people's vote". He says she should "re-offer herself to her constituents" in a by-election. "I would much rather have no-deal than what seems to be happening, and I certainly don't want Jeremy Corbyn running the country in some sort of coalition with Theresa May." Jacob Rees-Mogg on PM's #Brexit plan: "There's a big disconnect between politicians and voters. The majority of MPs never wanted to leave the EU, and still don't... by reaching out to the Labour party, Leave voters are being disenfranchised"
Meanwhile, Jacob Rees-Mogg was paid for a speech in Champagne. I was shocked to see this AfD poster in my neighbourhood yesterday. Their racism is not hidden. These are the people whose video Jacob Rees-Mogg shared recently. Tonight, Dispatches is investigating the "Brexit Millionaires" and has a great scoop on Jacob Rees-Mogg. 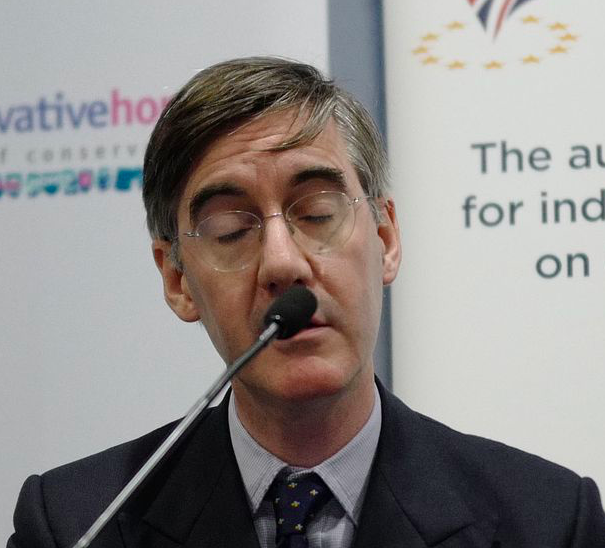 As he's accused of promoting German far-right party, Jacob Rees-Mogg says he has no idea how anyone could have reached that conclusion. Conservative MP Jacob Rees-Mogg says Theresa May has made "active choices" to stop the United Kingdom from leaving the European Union and "needs to be held to account"